Owned and distilled by the Jim Beam company, Old Grand-Dad is named after famed distiller Basil Hayden. The whisky is produced at a few different proofs, including a 100-proof Bottled in Bond variant. 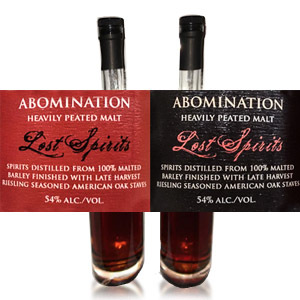 I tasted a plastic 50ml miniature containing 40% ABV whiskey, which would normally be an inauspicious start. Luckily, I was quite impressed with the 40% (although below I note the wateriness), and am looking forward to trying the 50%. 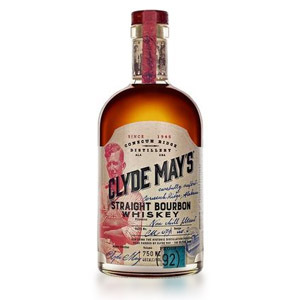 This is, according to the website, a “high rye” mashbill, although no other information is available. Shocker. Nose: Light corn syrup, candied apple, maraschino cherries, substantial nose tickle. Lively and bright aroma, not unpleasant. Maybe a hint of clove or cinnamon. Palate: A bit watery. On the rough side, with a lot of young, unripe alcohol. Resolves into pine sap, cherry pie filling, and fresh corn. Light, and not overly wooded. 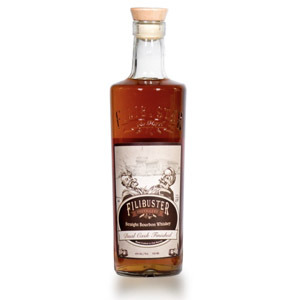 Finish: A hint of wood, an echo of the fruits from the aroma and a suggestion of marshmallow and soft caramels. Not bitter, not bad. With Water: Water increases the suggestion of baking spices on the nose, brings out too much raw alcohol on the palate, and makes the finish ragged. I’d skip the water. Overall: It’s not the most amazing bourbon in the world, but it’s light, refreshing, young, and vibrant. There are some interesting flavors and aromas, and except for its watery texture and low proof, it’s probably quite decent in a cocktail, and not altogether objectionable straight up. I think it’s interesting that despite being young, being filled into a plastic bottle and sitting in my cabinet for six months to a year, this whiskey has not suffered in the slightest. I’m willing to take that as evidence that bad 50ml experiences (of which I’ve had quite a few) come from bad batches, not bad bottles. C’mon whisky industry, wake up and realize that people use these things to sample your products, not just to dump together a manhattan on an airplane! Also, good on you, Old Grand-Dad. This is a respectable pour of cheap bourbon, and it makes me very interested in trying the higher-proof versions. 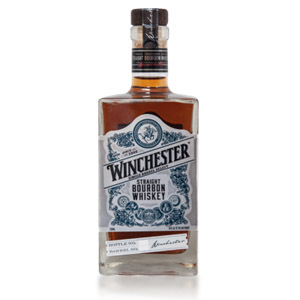 If you’re looking for inexpensive bourbon, this is a good place to start, although I’d seek out the 100-proof Bottled In Bond (50% ABV) one. 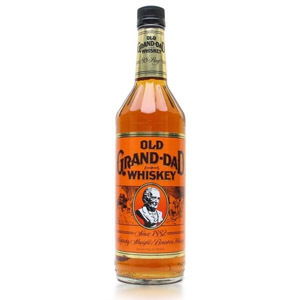 Does Old Grand-Dad have a 46% version? I’m pretty sure it’s 40%, 50%, and 57%. Quite right, Eric, I was mis-reading the Beam Global site, which still lists an “86 Proof”, even though that would be 43%, and is now actually the 40%. I’ll update the review, thanks for catching that! My local grocery has the BIB for just $17. I consider this one of the great bourbon values anywhere. I have bottles of better and certainly more expensive stuff, but I never get tired of the Old Grand-Dad BIB. For the money, I’d have said Highly Recommended. Yeah, that lowering of proof from 86 to 80 happened earlier this year, maybe March. Funny how big a deal it was when Maker’s Mark tried it; few people were very upset, and it may be because Old Grand-Dad still offers the BIB (and Maker’s Mark doesn’t have a comparable high-proof version). Then again, OGD is not nearly as popular. I’m a huge fan of Old Grand-Dad 114. It’s $26 a bottle in NYC (cheaper elsewhere, I’m sure) and it’s fantastic. As near as I can tell, it’s just a higher proof version of the BIB and the 40%. I think it was released in the 80s or 90s as a “premium” offering. What I like about Old Grand-Dad is the high rye content. 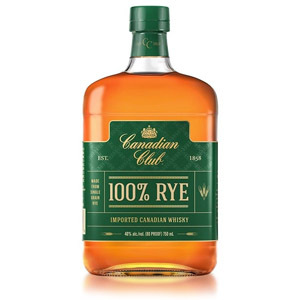 Really a nice mix of the spice of a rye with the smooth mellowness of a bourbon. Also, if you like Old Grand-Dad, Basil Hayden is the same recipe. (Basil Hayden was the grandfather of Old Grand-Dad founder Raymond Hayden.) Basil Hayden, as far as I know, is an 8-year-old bourbon at 80 proof, retailing for about $35.